Spartan Race Philippines will be staging its first Spartan Race in Cebu on June 16 at the Foressa Trails, a modern adventure park in Barangay Cansomoroy, Balamban. 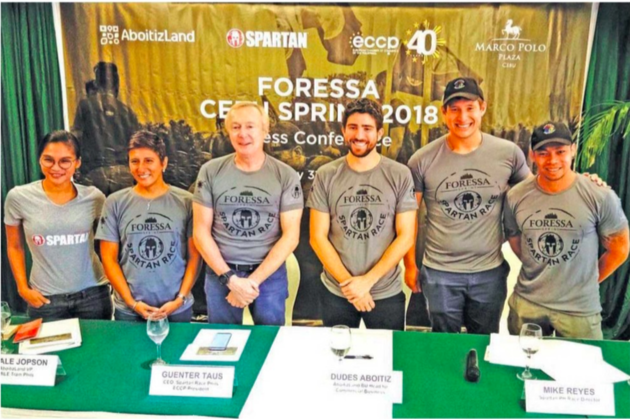 The Foressa Trails, which is part of the AboitizLand's Foressa Mountain Town Development, will be the playground of the Spartan Cebu leg dubbed as "Foressa Cebu Sprint 2018". It's the first race outside Luzon andthe third Spartan race in theSouth East Asian Series. "We are excited to announce that we are bringing to Cebu, the world's largest obstacle race and endurance brand ­ Spartan Race," said Eduardo "Dudes" Aboitiz, Commercial Business Unit Head of Aboitiz Land in a press conference at Marco PoloPlaza Hotel. "This event will definitely showcase the natural beauty of Foressa and Cebu to Spartan racers coming from over the world."